(StatePoint) Autumn is the ultimate time for outdoor dining. 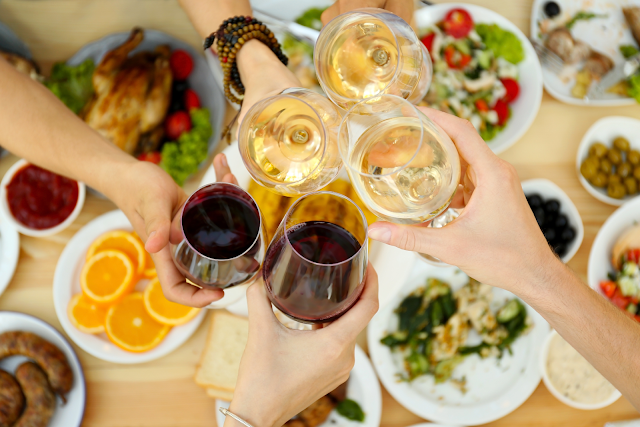 For your next gathering, bring the party out to the deck or patio for an evening of enjoyable light bites and delicious wines. If you need some inspiration to create a delectable spread, one resource is St. Francis Winery and Vineyards, a certified-sustainable winery in Sonoma County, California. The winery offers luscious, fruit-driven varietal wines and a food-pairing program voted #1 Restaurant in America by Open Table. If you are hosting an autumn gathering, elevate the evening with some tips and pairing ideas from the winery’s culinary team. Chardonnay is a perfect white wine to drink in cool weather. Consider serving a Sonoma County Chardonnay 2016 (SRP: $16.99), a classic, medium-bodied white wine that is refreshing, yet rich in flavors of green apple, juicy pear and melon. The winery achieves these aromas and flavors by picking the grapes in the cool of night and fermenting in French oak barrels. Serve the Chardonnay alongside a tray of Smoked Salmon Mousse in Phyllo Cups. The creamy salmon mousse, paired with the crisp, bright flavors of the wine, refresh the palate and will have guests going back for seconds. Another delicious pairing with Chardonnay is a Burrata, Beet and Grilled Peach Salad. Featuring fresh, seasonal produce, the sweetness of the beets and peaches will pair wonderfully with the melon and citrus notes of the wine for an enjoyable combination. With the brisk fall air upon us, add a spicy, rich and balanced Sonoma County ‘Old Vines’ Zinfandel 2015 (SRP: $20.99) to your spread. This classic red wine, produced from 50 to 100-year-old vines, has enticing baking spice aromas and mouthwatering flavors of wild, crushed berries and red licorice. You can serve this ‘Old Vines’ Zinfandel with a starter, such as Goat Cheese and Olive Skillet, a robust, easy-to-make dish perfect for dipping your choice of breads or crackers. The cheeses with tomato sauce and herbs bring out the warm spicy scents and fruit-forward flavors within the wine. Better yet, the wine’s velvety texture accentuates the olives’ saltiness, making for a harmonious pairing. One more appetizer option to make for your guests is Peperonata and Ricotta Crostinis, an appetizing blend of tomato sauce, red pepper flakes and garlic, topped with ricotta cheese. The Zinfandel’s bold flavors and richness will balance this dish nicely without overpowering the creamy ricotta.